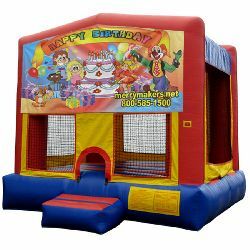 Celebrate your child's birthday in style with this instant inflatable party room rental! Birthdays and bounce house rentals go hand and hand. Standard size bounce house.